The skies cleared as I flew over the Welsh coast and Anglesey on Sunday morning, which set the tone for my time in Belfast. 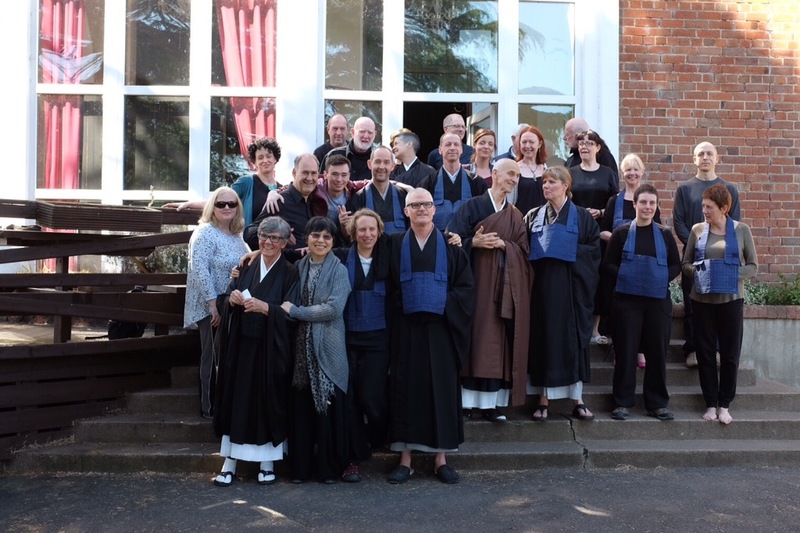 I was collected from the sleepy airport by some sangha members who were also attending the jukai at Benburb; we arrived in time for lunch, where the sesshin participants were partaking of the last silence. I was very happy to see a couple of St Bernards at the priory, the dogs we had when I was growing up, and of course even happier to see a number of friends, many of whom I had not expected to be there: Djinn and Richard, Garret and Esther, Ann, Myles, Nuala (who kindly hosted me for my visit and, along with Myles and three other sangha members, was receiving the precepts from Paul), Andre, Heather, Bai and Annette. Last week I had a few very quiet days with my mother in Hereford; the weather was mostly sunny, but there was a persistent east wind that felt cold. 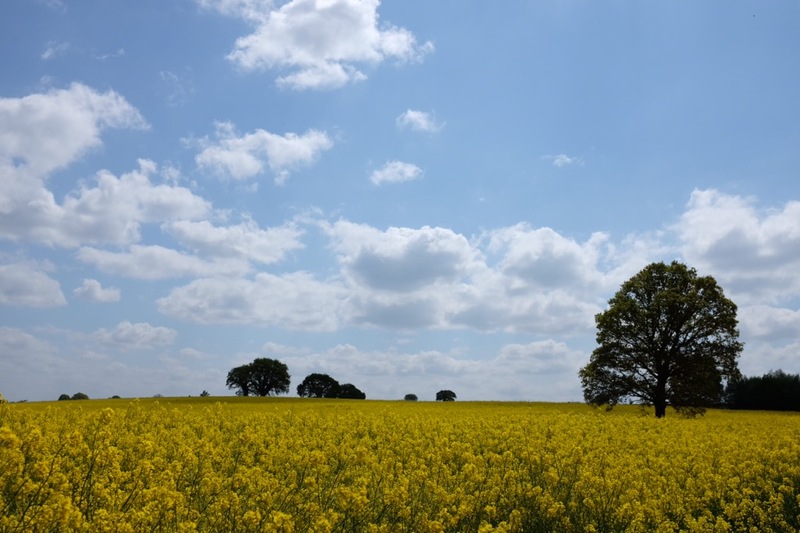 I got outside every day, running my familiar loop along the Wye, past blossoming fields of apple trees and flowering riverside meadows, as well as exploring trails alongside smaller brooks at the edge of the city that were new to me. On Friday I returned to London, for a rewarding return visit to the Wimbledon group, with a full room of people getting their head around the Genjo Koan. After being taken to lunch with some of the group, I went to Alan’s house to record a podcast with him, which was a lot of fun, and which I will link to when it is up. This week I have been sitting every morning with the Black Mountain sangha, and joining the relaxed tea and chat afterwards. On Tuesday, when Djinn usually gives a talk, she suggested that she, Ann and I do a round table discussion in the zendo, which was well attended and nice to participate in – we all riffed off each other easily, and had some great questions to ponder. I added the Lagan to the list of rivers I have run by – my limited geographical sense of the city was aided by starting to walk around, and I felt confident enough to do a loop of Ormeau Park and then head to Langan Meadows on the towpath cycle route, and back via Belvoir Park, all of which felt a long way from the city. 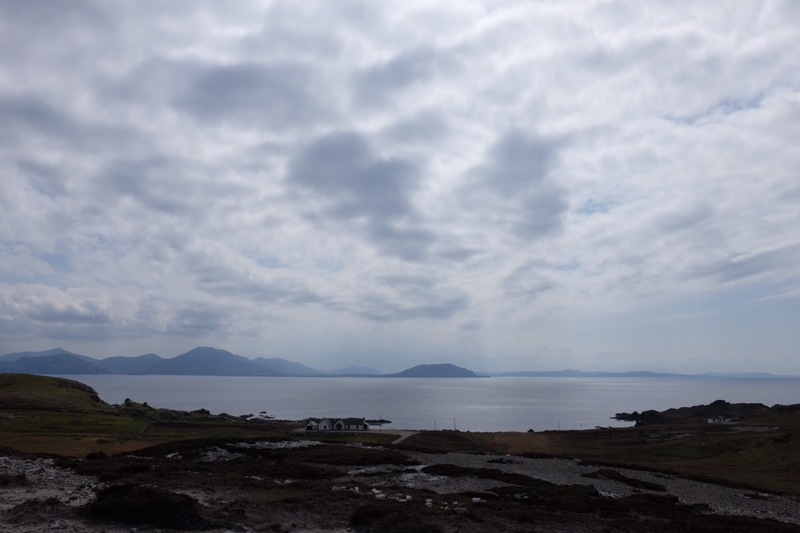 On Wednesday, the last full day, we went up to Malin Head. Ann and I had independently had the idea of wanting to see it (I had watched a television programme while staying with my mother which featured it, and of course know it from its role in the shipping forecast), and Djinn was willing to drive the hundred miles each way with us. We stopped in Derry for lunch and a walk around the walls, then drove across the increasingly rugged terrain to Ireland’s most northerly point, which was uncharacteristically warm and sunny, with very little wind. The last leg of this lengthy journey is going to be in Brighton (Hove actually), to stay with old BBC friends, and to sit with the Brighton group on Saturday, where I expect to meet some old sangha friends, and hopefully run up to Devil’s Dyke again, before the long flight home. 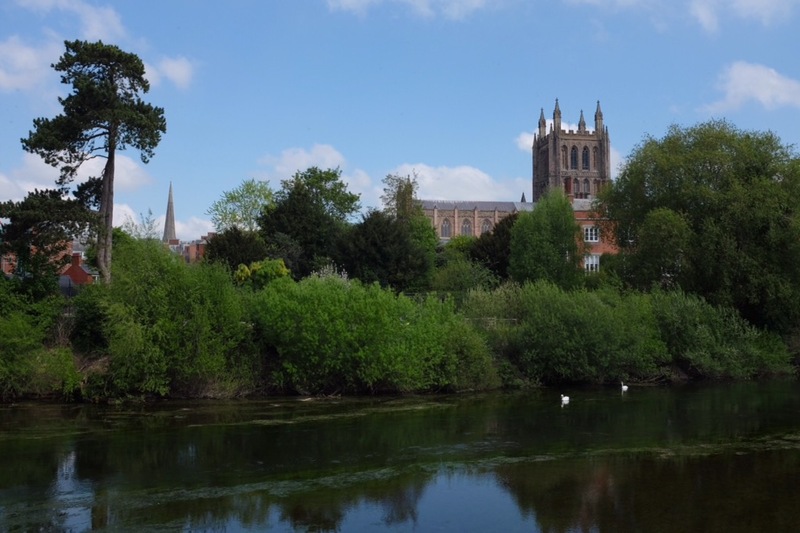 The cathedral at Hereford from the banks of the Wye. The sesshin group at Benburb on Sunday afternoon, featuring some brand new rakusus. 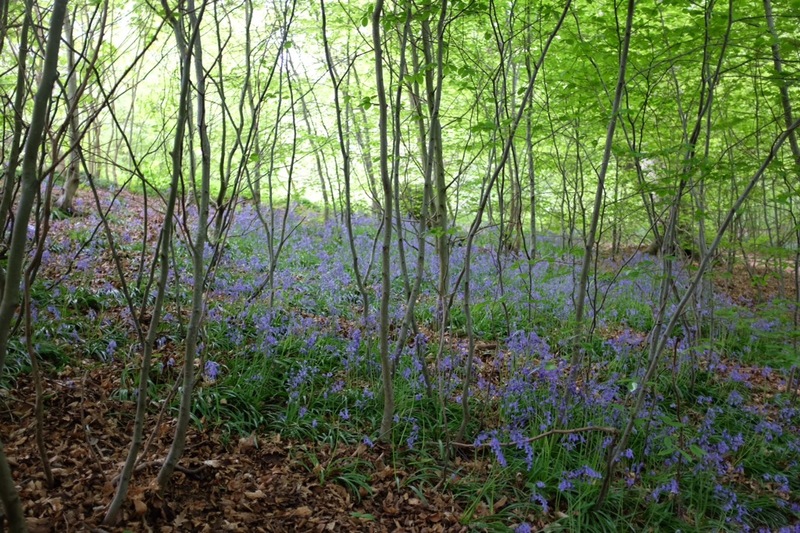 A patch of bluebells in Ormeau Park. One of the many beautiful views at Malin Head.